All this time being pregnant and I have YET to be hungry at all! Well Rachael was right…that day has come 🙂 Over Labor Day weekend I suddenly changed and instead of never being hungry, I get this pain in my stomach if I don’t eat a little something every couple hours! I would start being this way on vacation where there are very little healthy foods to choose from! I snacked on Oatmeal Cream Pies and Puffy Cheetos all weekend! haha! I know now that my eating has picked up some (I still wouldn’t say I’m one of those pregnant chicks who could win an all-u-can-eat competition or something) I’m sure the weight will start picking up too! I’ve done well my first trimester in the weight gain department, I was really bloated at first so I gained like 9 lbs (I am adding 4 lbs to my pregnancy weight gain everytime I weigh myself b/c I considered myself 4 lbs overweight when I got pregnant…so really I’d gained 5 lbs of pregnancy weight)! But then it dropped off and I’m at a total weight gain of negative 1.5 lbs! Wow! I just weighed myself and that’s a suprise for sure! So that means I’ve lost weight overall since I’ve been pregnant so far…so strange! B/c my tummy sure doesn’t look smaller! haha! Anyways…as I was saying I’m sure the weight will start picking up! I wish I could go to the dr today though so today’s weight could be stored on my chart b/c dang that’s awesome! Well so far since I’ve become a more typical pregnant lady (YAY FINALLY) here are my top 5 favorite foods…or foods I’ve been craving and have yet to eat! 2. 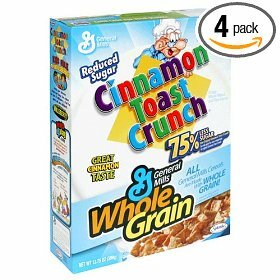 Cinnamon Toast Crunch: For the past couple weeks I’ve ONLY wanted this cereal for breakfast EVERY morning! When I first found out I was pregnant I drank smoothies every morning, but not anymore. I have to have cinnamon toast crunch then I drink the yummy milk at the end 🙂 Sooo good!!! 3. 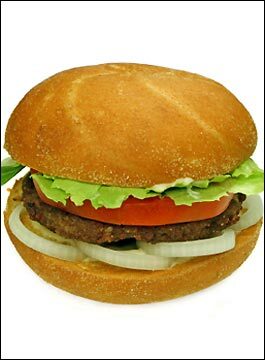 Hamburgers: I have NEVER liked hamburgers. I’m awful at a cookout b/c I don’t like hamburgers, hotdogs, cole slaw, potatoe salad, or baked beans! haha. But I have had more hamburgers since I’ve been pregnant than I have probably had my entire life put together. I actually even ordered some from restaurants! So strange! Now I’m not talking about a fast food hamburger, unless it’s Steak and Shake, I’m talking about a real hamburger!!! 4. 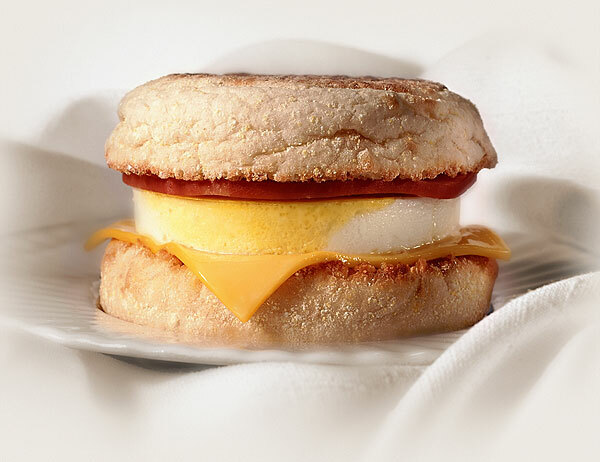 Egg McMuffin: I have yet to have this one…as it’s a craving that comes and goes but there are days when I want one sooo bad. If only McDonald’s served breakfast all day! I’d be in Heaven!!! I will def go to RODEO w/u I have been wantin to try it and I love Mexican!!!! !